How can art be ‘green’? 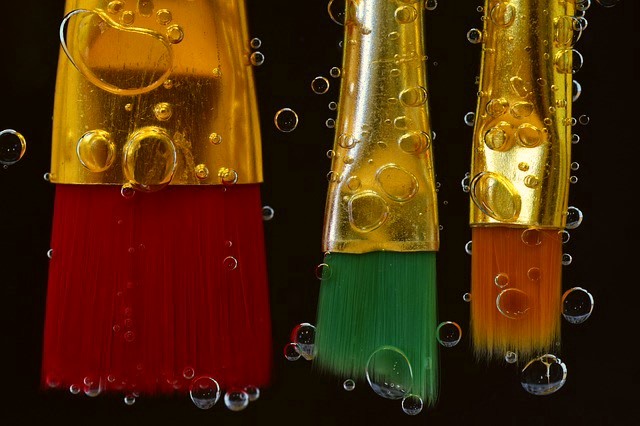 While most of us typically don’t think of paintings, crafts, and sculptures when we think about the environment, art can do a lot for the sustainable movement. The most important thing art can do to promote green design is to make the subject of the art something that will draw attention to using less, recycling, etc. Now that you are thinking in these terms it’s now probably obvious that art does indeed help the green movement; just think of all the websites, t-shirts, and bumper stickers out there spreading the message and how much they depend on good design. But this isn’t the only way art can help out. Art can be inherently ‘green,” and I’m not talking about color. Paintings can be made using organic paints on recycled canvas or paper. Crafts can be made out of all sorts of found, recycled, and up-cycled objects. The possibilities are endless and the practice of trying to re-use objects can spark the creative process. In my own work, I have experimented with the use of various recycled materials. 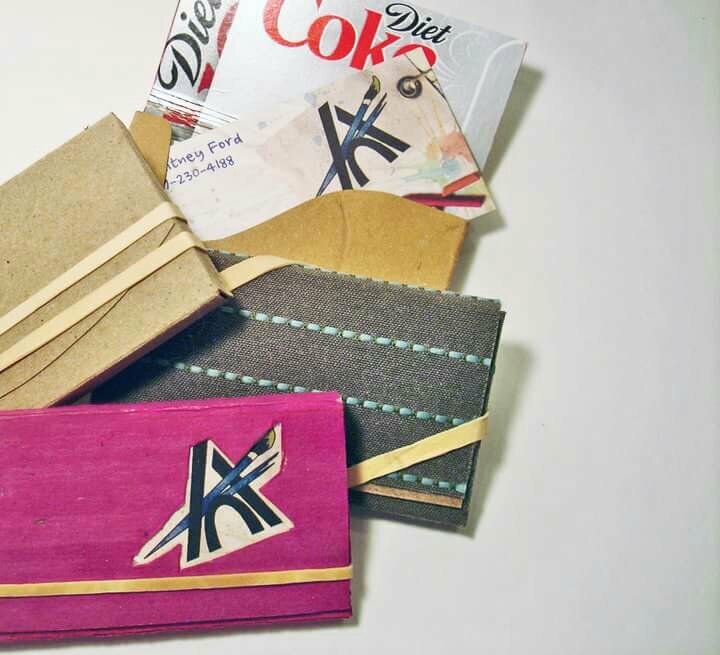 With one set of projects, I explored the potential use of soda can box cardboard and discarded upholstery samples as business card holders. These were fun to make and a good conversation starter. If I were to make more of these, I would investigate options to waterproof the cardholder exterior for increased durability. If you are into sewing making sustainable choices can be easy. The many scraps leftover from projects can be turned into quilts, edge binding, doll clothes etc. 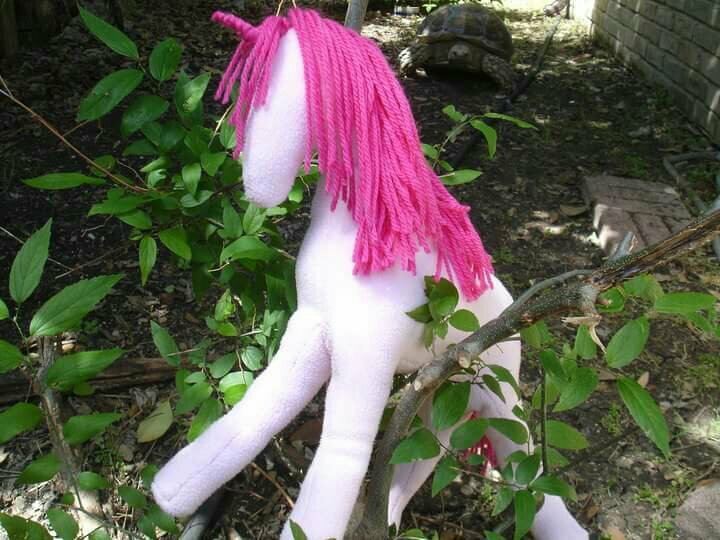 Here is an example of a pink unicorn I made from leftover fabric scraps and yarn. 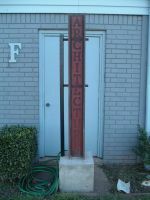 Going in an entirely different direction, this sculpture from architecture school was produced almost entirely from scrap metal. We hand-selected pieces from a junkyard that we found inspirational and hauled them home to weld together. My current favorite way of reusing materials is mixed media paintings. Mixed media is a fun way of incorporating various art mediums, found objects, and paper types into a painting. As the name sounds, it is mixing multiple techniques into one piece of artwork. To create the textured background I crumpled and glued on tissue paper collected from party leftovers. Magazine clippings were also placed in the background of the buildings and water prior to painting. This allowed the images and text to peek through and create points of interest. The main bridge structure is more tissue and tensile support (strings) are yarn scraps. I hope that this has given you a few ideas of how to incorporate sustainability into your artwork. Do you have examples of your own work or tips to share? Please post in the comments. I saw you tweeting about painting and I thought I’d check out your website. I really like it. Looks like WHF Design Studio has come a long way!